I study romantic relationships. I’m also engaged. So, of course, I’ve given a tremendous amount of thought as to what it really means for my partner and I to marry one another. Researchers have found that weddings are deeply significant life events, but we don’t really know why they’re so meaningful. Marriage may simply be about celebrating a milestone: recognizing the relationship that a couple has built together and the love that they share for each other. But weddings are also very future-oriented, as the couple publicly promises to maintain their relationship for life. I suspect that it’s really these vows — the solemn promises that the newlyweds make to each other in front of their closest friends and family — that are at the crux of why weddings have such an emotional impact. No pressure. As my partner and I sat down to think about our own vows, clearly we had a lot to consider. 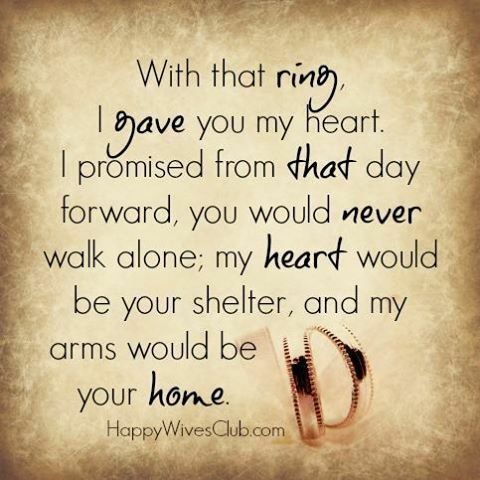 If these promises are the essence of what it means to be married, then what exactly do we want to promise each other? We could always go with the traditional marriage vows: for richer, for poorer, in sickness and in health, for better for worse… but, these seemed a bit too vague for our tastes. We decided that we wanted to make more specific, behavioural promises: things we can strive to do for each other that would help us to not only remain together, but also happy and fulfilled in our marriage. In the second part of this vow, my partner and I are promising to support each other’s attempts to grow and improve ourselves over time. This is called the Michelangelo phenomenon, and research shows that supporting your partner’s changes to their self in this way is very beneficial both for the partner and for the relationship. Importantly, I’m not promising to help my partner improve in the way I want him to improve, but in the way he wants to improve himself, and vice versa. It’s all about supporting the partner’s own personal goals. This vow draws from research on autonomy. Although humans are social creatures who both need and enjoy relationships, it’s also important for us to maintain our individuality. In particular, we need to feel like the decisions we’re making are truly coming from us. When people feel forced or coerced into making choices — like they didn’t have any real choice in the matter — they’re less happy and less fulfilled. And, as you might have guessed, that lack of happiness is problematic for relationships. In this vow, my partner and I are promising to avoid pressuring, guilting, or otherwise coercing each other into making decisions, striving instead to always respect each other’s right to make choices for ourselves. Here, we draw from research on self-expansion theory, showing that couples are happier when they engage in new, interesting things together. Basically, we’re promising each other not to let our relationship fall into a rut. We’re going to keep courting each other, keep travelling and exploring together, and keep sharing novel and interesting experiences with each other for the rest of our lives. This is the closest that our vows come to representing the traditional vows about being together “for better, for worse”; in other words, to stay committed to each other. Research shows that by having this committed outlook — where we intend to stay together through thick and thin — we should be better able to deal with any adversity that might come our way. This is because, when a couple sees themselves as a permanent partnership, their perspective on problems tends to shift from being about “me against you” to being about “us against the issue”. Researchers call this “transformation of motivation”: commitment helps people to stop treating conflicts as zero-sum, instead keeping the wellbeing of their partner and their relationship in mind. So, by acting like a team, we’ll be in a better position to face challenges together. This vow draws from research on communal orientation. Being communally-oriented means that you contribute to your relationship based on what is needed and based on what you have to give. In other words, it’s about being a team player. With this vow, we’re promising not to “track and trade,” keeping careful tabs on each other to ensure that we’re each contributing to the relationship fairly and equally (“I did the dishes yesterday, so you should do them today”). Instead, we’re promising to always strive to contribute what we can, based on the needs of our partner (“You got home very late and had a stressful day — I’ll do the dishes tonight”). We trust that our respective efforts will more or less balance out in the long run. Communal strength, or this willingness to give to the relationship without much concern for what you’re receiving in return, is associated with a whole range of positive relationship outcomes.